Addding Thermometer icons to LANDESK templates. You will then need to populate the fields with the relevant LANDESK Placeholder variables. 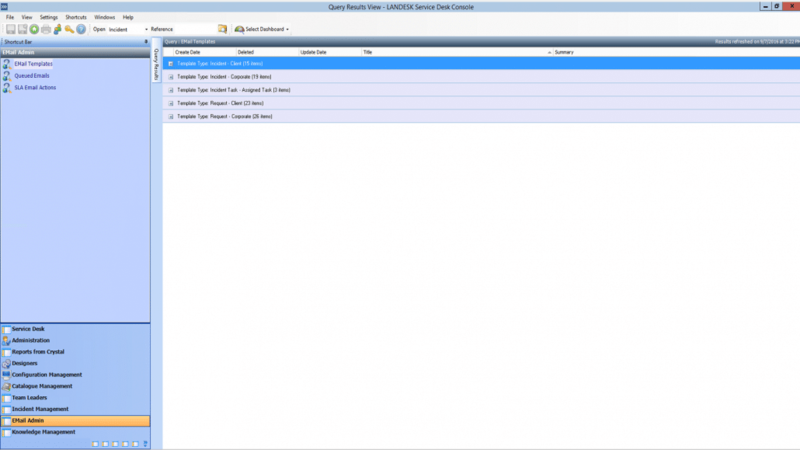 These attributes can be looked up in the Object Designer in the LANDESK Service Desk Console. Object attributes can be either out of the box default or user defined, depending on how your LANDESK Service Desk suite was configured. More info on placeholders can be found in this topic in LANDESK’s community resources. There are both default and custom defined placeholders here, it does not matter which ones you use. Click “Generate HTML” and copy the text into your clipboard. Your console may look different. You can create your own icons and layout and use the WYSIWYG editor to attach the links to the images. Do ensure they are copied correctly. When a ticket closed email survey is sent, the merged variables will pull together the relevant LANDESK Placeholders and will populate the Customer Thermometer tracking links. All identifiable feedback records will then be stored in your Customer Thermometer reporting for viewing and analysis.